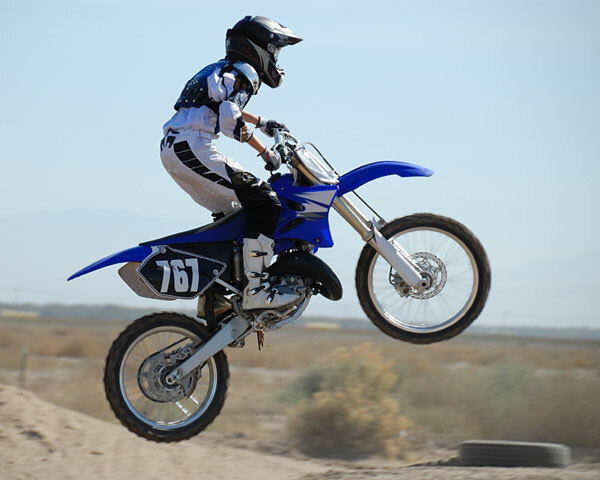 When purchasing a dirt bike, it is important to choose one that is suited to your needs. Dirt bikes are typically designed for either racing or trail riding, so the type of bike you choose will depend on the type of riding you plan to do, as well as your size. It is important to choose a bike that is the right size. You should be able to hold it up without help while seated. You should also be able to kick the starter easily and have ready access to the various dirt bike controls. Do not buy a bike that is too large and expect to "grow into" it! Dirt bikes are powered by either two or four-stroke internal combustion engines. Two-stroke engines tend to be lightweight and are designed to be ridden at high RPMs, while four-stroke engines tend to be slightly heavier but provide more torque at low RPMs. Four-stroke, dual-sport bikes are good to start with as they are reliable, easy to ride and maintain, and can be ridden both on and off-road. Most major dirt bike manufacturers offer quick and dependable dirt bikes with 250 cc or 450 cc four-stroke engines. If you are new to dirt bike riding, you may want to begin with an older, used bike. This is the most cost effective way to learn to ride, and you will not have to worry as much about minor crashes. You can find used bikes for sale through riding clubs and small dirt bike shops, as well as online at websites such as Cycle Trader. After purchasing a used bike, you should change the fluids, clean the filter, and install a new spark plug. It is helpful to know the history of the bike, such as how often the previous owner cleaned the air filter and changed the oil, and whether the bike was used for racing or was modified in any way. Talking with friends who ride, joining a riding club, and reading magazine reviews can be helpful in deciding on the perfect bike for you. 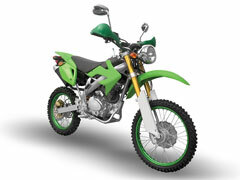 For more information about purchasing a dirt bike, check out the Offroad website. Of course, if you are interested in a particular bike brand, you should also visit that manufacturer's website.